Portraying intimate moments to some of the most defiant in California history, the extraordinary photographic archive of husband-and-wife team Pirkle Jones and Ruth-Marion Baruch is a treasure box for scholars, students, historians, photographers, and community members alike. 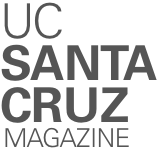 The archive, given to UC Santa Cruz last year, consists of photographs documenting the people, landscape, and politics of California in the mid-20th century, capturing images of the state at a time of tremendous social change. Unlike museums, where you can only see materials on exhibit, the entire collection is available to the general public. People may come in and request individual photographs to be looked at in the reading room. “This very personal experience is quite special in the world of major photography collections,” Remak-Honnef said. Some of Jones and Baruch’s best-known photographic series include Berryessa Valley (1956), Haight Ashbury (during the Summer of Love, 1967), Black Panthers (1968), and Gate Five in Sausalito (1969–75). The gift includes more than 12,000 photographic prints, 25,000 negatives, and thousands of transparencies created by the photographers over the course of their careers, as well as a selection of prints by such colleagues and collaborators as Dorothea Lange, Brett and Edward Weston, Ansel Adams, and Minor White. A sale made, a customer sits and a saleswoman stands writing up the sale. Woman in a black dress that’s too tight. Above: These photos are from the series Illusion for Sale, San Francisco, by Ruth-Marion Baruch, 1961. With this series, Baruch offers “a clandestine, but sympathetic study of very intimate, yet universally experienced moments of exploring personal identity,” said Mary deVries, the archivist who is processing the collection. Project archivist Mary deVries is working with student assistants to process the materials and make them easily accessible to researchers. 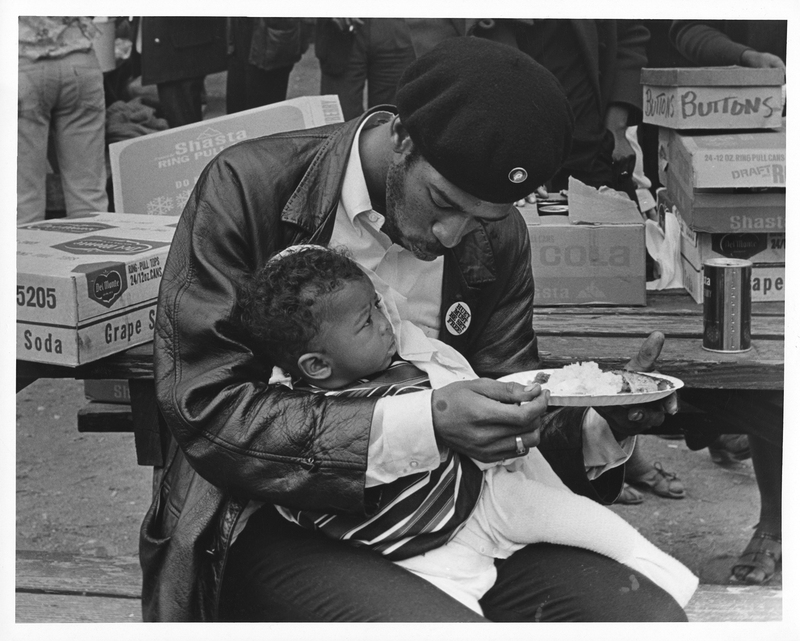 The work of Jones (1914–2009) and Baruch (1922–97) has been exhibited at museums throughout the country and abroad. The library plans to loan items to the de Young Museum in San Francisco for its upcoming Summer of Love exhibition, and to traveling exhibits in 2018. 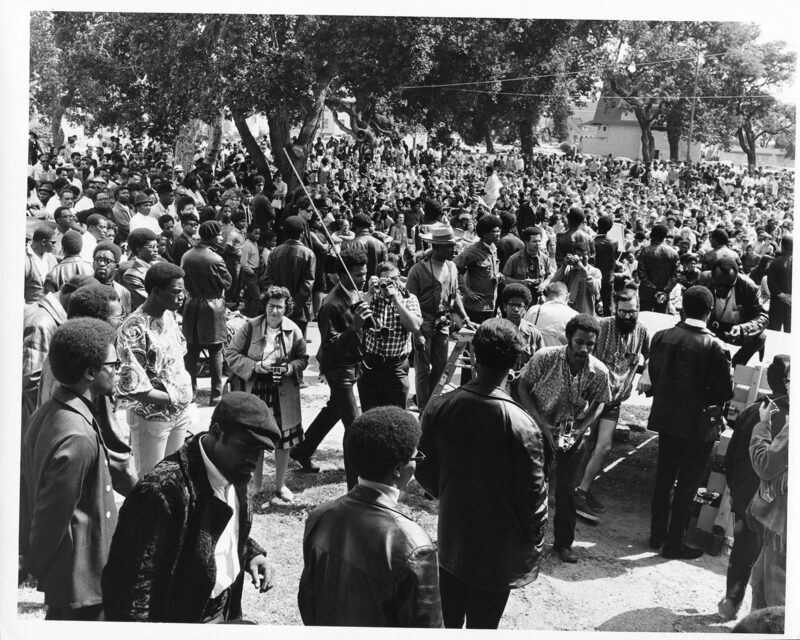 Black Panthers from Sacramento at a Free Huey rally at Bobby Hutton Memorial Park in Oakland, from a photo essay on the Black Panthers by Pirkle Jones, 1968. The woman with the camera at center-left is Ruth-Marion Baruch. 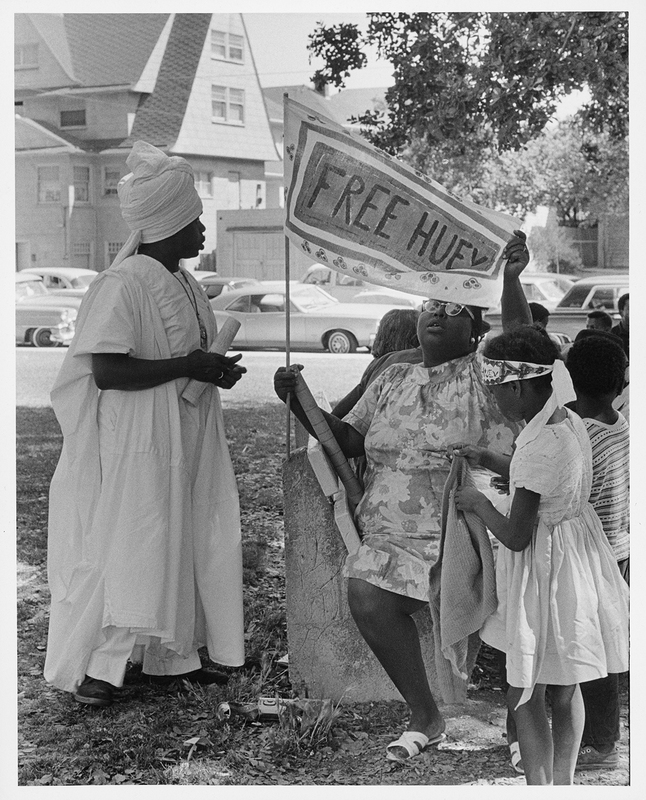 Woman in caftan and children with “Free Huey” banner at Bobby Hutton Memorial Park in Oakland; from a photo essay on the Black Panthers by Ruth-Marion Baruch, 1968. 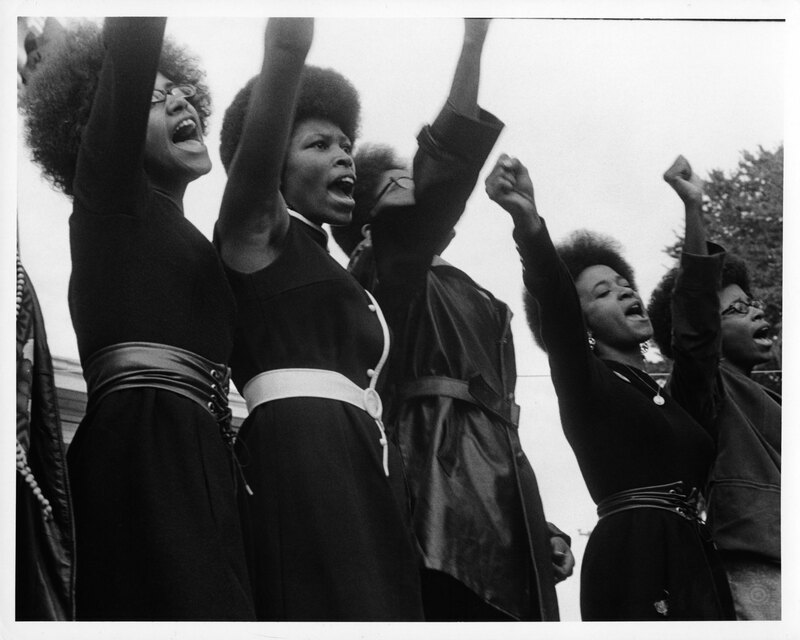 Black Panthers from Sacramento at the same Free Huey rally; from a photo essay on the Black Panthers by Pirkle Jones, 1968. 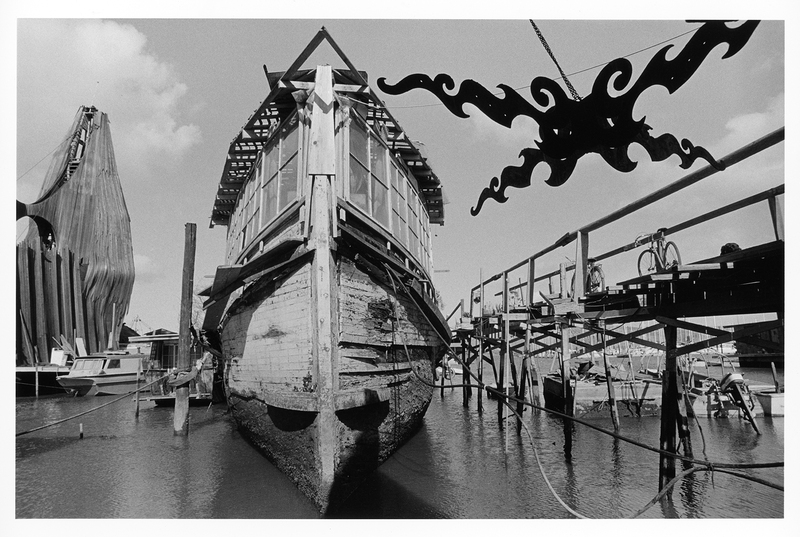 Sculpture on right, houseboat with worm-eaten hull and Madonna on the left, Gate Five, Sausalito. 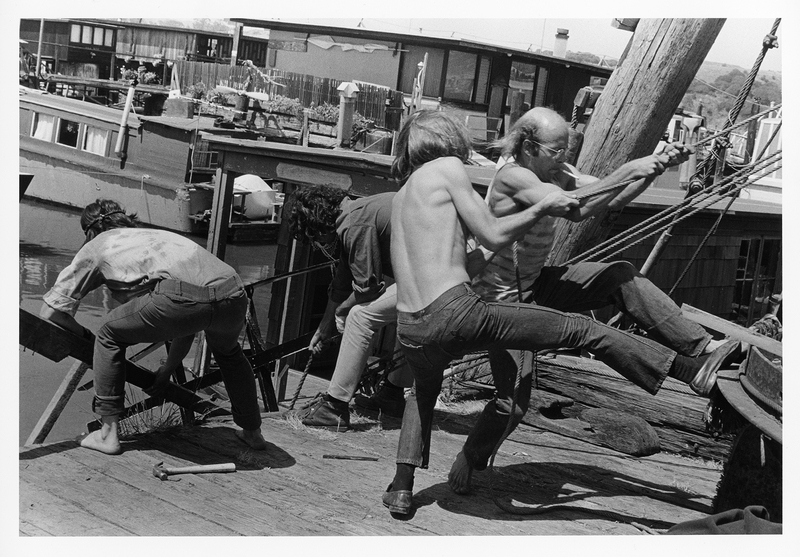 Four men pulling rigging in the bohemian houseboat community Gate Five, Sausalito. 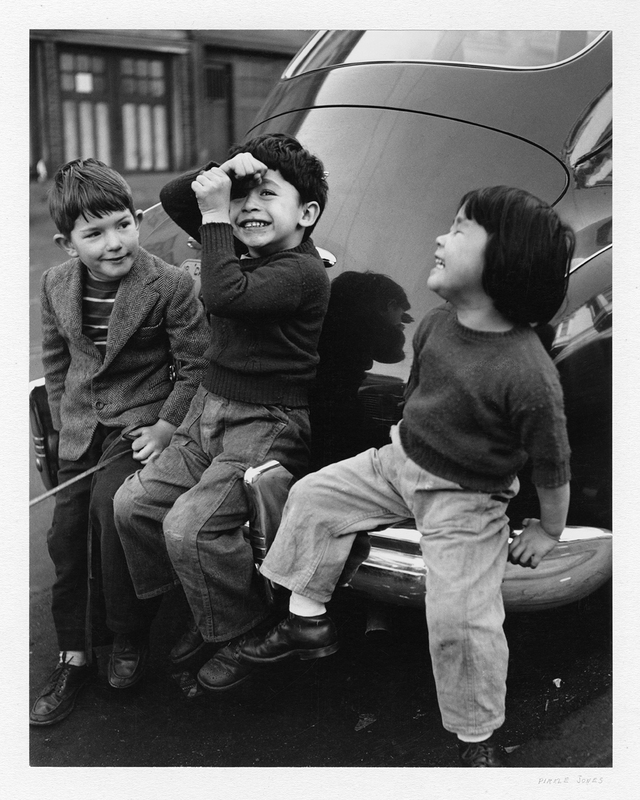 Children on a car bumper, North Beach, San Francisco, from the Children, They Grow in the City series by Pirkle Jones, 1948. 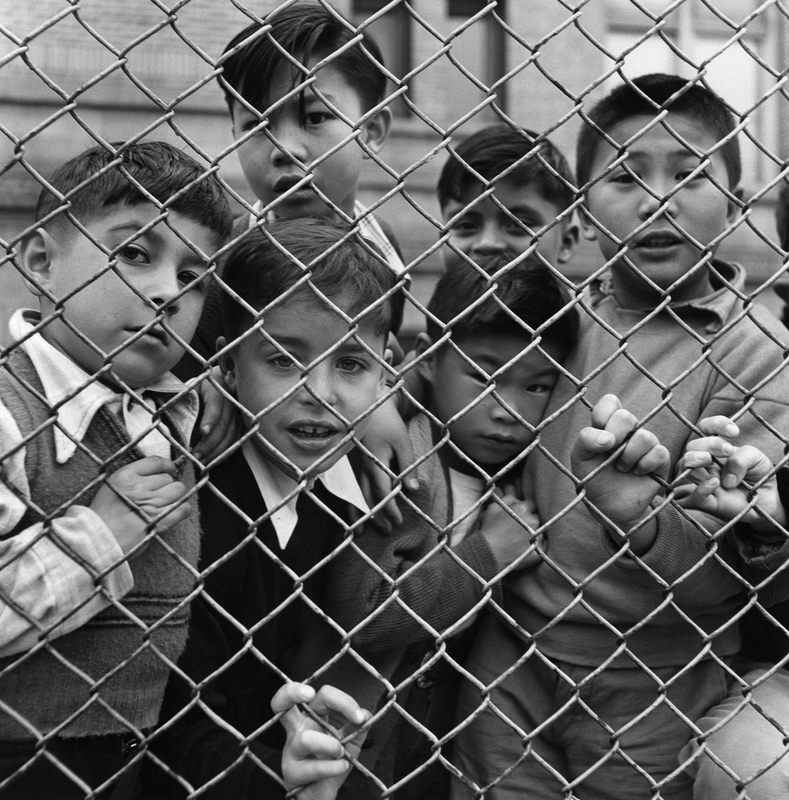 Children behind a chainlink fence from the Children, They Grow in the City series by Ruth-Marion Baruch, 1948.